Dr. Omid Ghalambor is an internist, anesthesiologist, and fellowship trained interventional pain specialist from Massachusetts General Hospital, Harvard Medical School. The reviews listed below were collected independently of NorTex Spine & Joint Institute through rater8. Each review represents an authentic and verified patient experience. ALWAYS takes the time to listen, great bedside manner & the ONLY doctor I have had that actually took the time to figure out what the underlying CAUSE of my issue was in order to CORRECT it and NOT just cover w/meds! Dr G and his staff are the best! I like his smile as it puts you at ease. He makes a plan with you; not telling you. Rare for a doctor to provide options. Dr. Ghalambor and his staff are AWESOME! They are professional and friendly and do everything in their power to make you feel better. My husband and I are both patients and we would both recommend NorTex Spine to all of our friends and family. Awesome Dr with an amazing, friendly staff! He goes over everything with you and makes you feel comfortable an cofadent. Dr. G is always very attentive and explains things in a way you can understand. He is very competent. I have had good results with managing my back pain with him. Dr. Omid Ghalambor is an internist, anesthesiologist, and fellowship trained interventional pain specialist from Massachusetts General Hospital, Harvard Medical School. 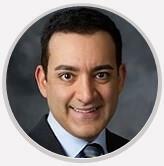 Dr. Ghalambor is a diplomat of American Board of Anesthesiologist with subspecialty certification in pain management. He is also a fellow in interventional pain management, a prestigious diploma awarded by the World Institute of Pain. Dr. Ghalambor also is a diplomat of American Board of Interventional Pain Physicians (ABIPP) and has served as an instructor and examiner. Finally, Dr. Ghalambor is board certified by the American Board of Pain Management. Dr. Ghalambor received his training in internal medicine in the hospitals affiliated with Montpellier II university in Montpellier, France. After a year training in the preliminary internal medicine in Harbor Hospital, affiliated with Johns Hopkins medical school in Baltimore, MD he received his training in anesthesiology at John H. Stroger Hospital in Chicago, Illinois. He is also a trained acupuncturist from Harvard Medical School and a member of the American Society of Interventional Pain Management (ASIPP) and the Spine Intervention Society (SIS). Dr. Ghalambor believes in comprehensive, multidisciplinary pain management. He believes that best results are achieved after a balanced, individualized combination of medical therapy, interventions, physical therapy and if needed, alternative medicine such as Acupuncture.